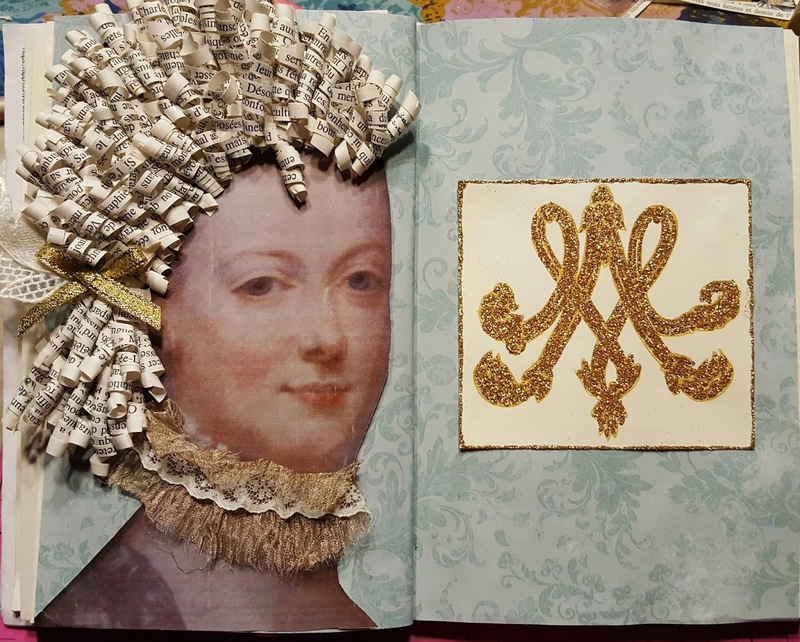 The Amazing Race Art Journaling Challenge's second stop was France. 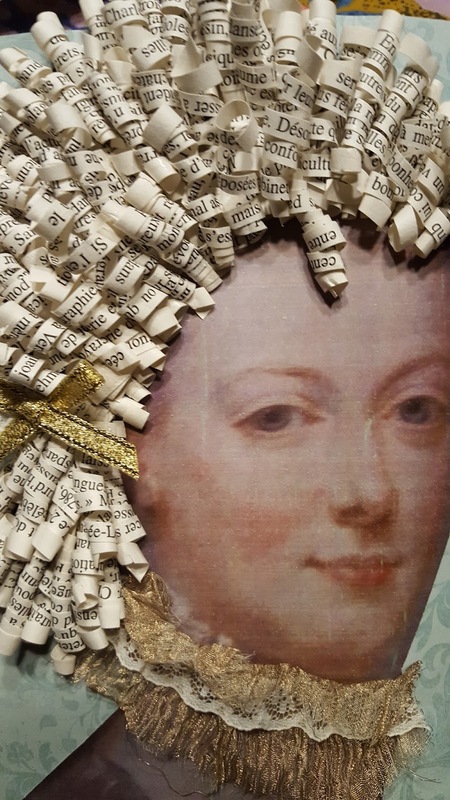 It has been awhile since I did a Marie Antoinette themed piece. Although I chose her as my subject for this leg of the race, I wanted to do something a little different with her this time. As I studied this familiar image, I began to envision her hair as 3-D coils. I dug out some French text and started cutting the pages into thin strips. I then coiled the individual strips around a barbeque skewer. When I had a handful of these coils, I began to arrange them onto her head. Row after row, her hairdo took shape. I was really happy with the end result. I struggled for a time finding the right materials in my stash of lace to use for a collar or necklace. This combination of gold organza and antique lace seemed to compliment her hair instead of overpowering it. I had several ideas for what to put on the opposite page. A stamped image of a chandelier? A framed portrait of her beloved husband Louis XVI? An urn filled with colorful flowers? 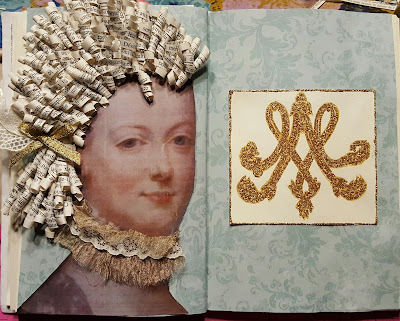 Since Marie is my focal point, I chose to use her MA monogram, glittered in gold, of course, to finish my France spread. Now it's off to Italy! Those curls are just fabulous!! Thanks Janet!! She was a lot of fun to make!